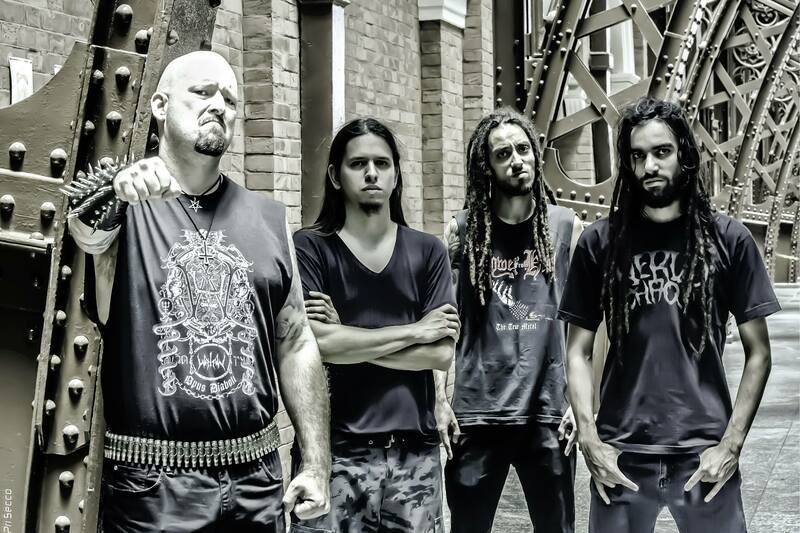 Brazil’s Nervochaos has been around for about twenty years at this point and The Art of Vengeance will be their sixth full length record over the years. It’s worth noting due to the fact that it’s a shame they haven’t garnered more recognition or at least a little attention. It’s not a far stretch for many to see the band and not have any knowledge of them (as DR did). Hopefully that will begin to change with The Art of Vengeance. 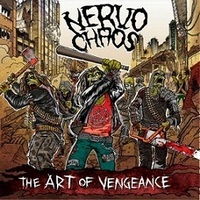 Upon pressing play, it’s quite clear that Nervochaos plays death metal. The aggressive riffs and the guttural vocals certainly point in that direction. But they also utilize a fair amount of thrash in their frequently speedy approach. It does have an older feel to it, but avoids that whole “let’s make it sound like 1990” production approach and gives the album some extra bite. Without hearing their other material, it’s probably safe to say that the band has taken some steps to keep their sound up with the times, unlike some of their contemporaries. There’s also a bounty of varied influences that blend into their sound, moving from the thrashy bits towards some Floridian influences to some mid-tempo grooviness and even a hint of doom on occasion. One highlight would be that of “Shadows of Destruction,” which has an addictive main riff with driving momentum that’s sure to stick in your brain. The ability to create some catchy and melodic riffs throughout is what keeps the album from sounding like 12 variants of the same track. If there is a one word descriptor of The Art of Vengeance, it’s solid. It doesn’t move mountains, but all of the right bells and whistles are set up and the album hits hard when it needs to. Now, if only the word could spread a bit about these guys.